Clare: A County of Cliffs and Karst, Caves and Cheese. 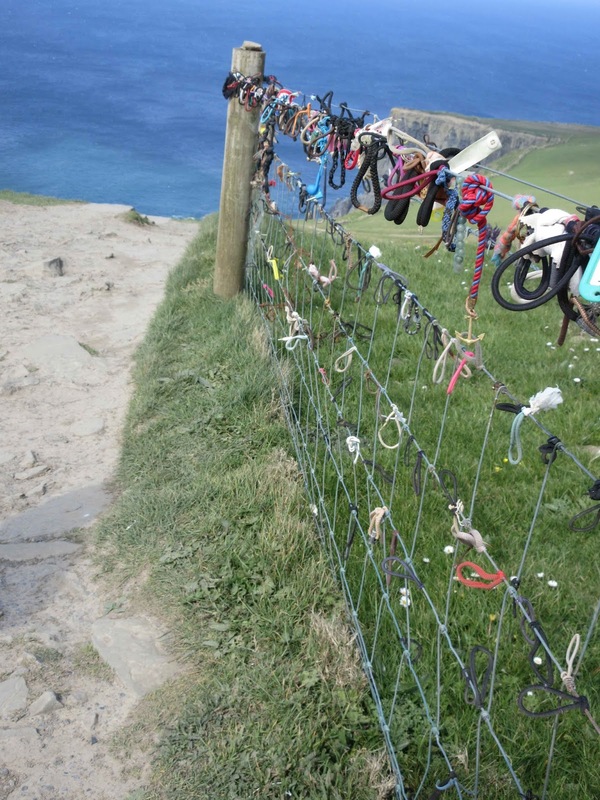 You think of Clare, and the Cliffs of Moher and The Burren (a Karst landscape) always come to mind. They are indeed amazing visits but there is so much more as I found out in a recent two day trip. There are two excellent cave visits. Aillwee is probably the best-known but this time we choose to go to Doolin to see the extraordinary stalactite there. 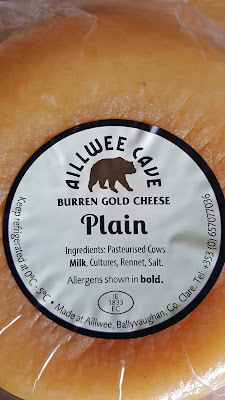 We visited two cheese makers, the well-known St Tola and Burren Gold. Then there was the Burren Perfumery in an isolated spot but still managing to employ over 30 people in the season. 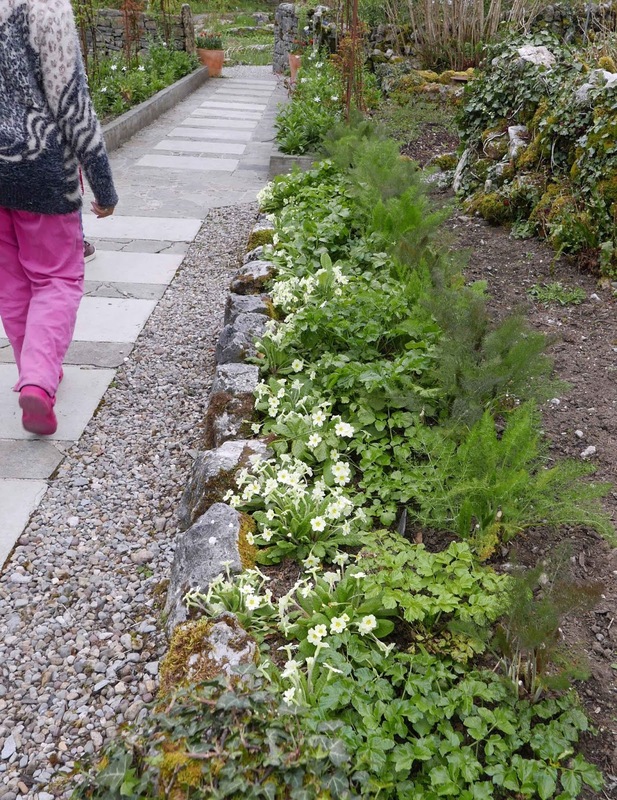 As you travel between the perfumery and Aillwee you’ll the grey Burren stretching away at either side. And here too there are reminders of the past, a castle (Lemanagh), a fort (Caherconnell) and, most memorable of all, the ancient tomb at Poulnabrone. 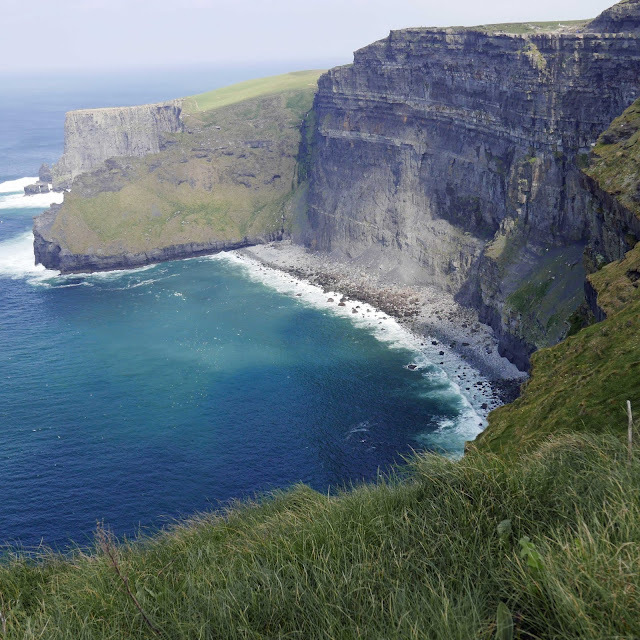 Just a few of the many attractions listed on the very helpful leaflet Burren and Cliffs of Moher GeoPark. Okay, let us start with the cheese. We spent most of the first morning with Brian at St Tola and you may read all about it here. Our last call that afternoon was to the Farm Shop at Aillwee Caves where, if you’re lucky, you can see the Burren Gold being made. We had a lovely chat with Dave here and an even lovelier tasting. In between the cheese stops, we called to our B&B, the Fergus View, and got detailed directions for the afternoon from a very helpful Mary. And that was how we ended up at Poulnabrone. 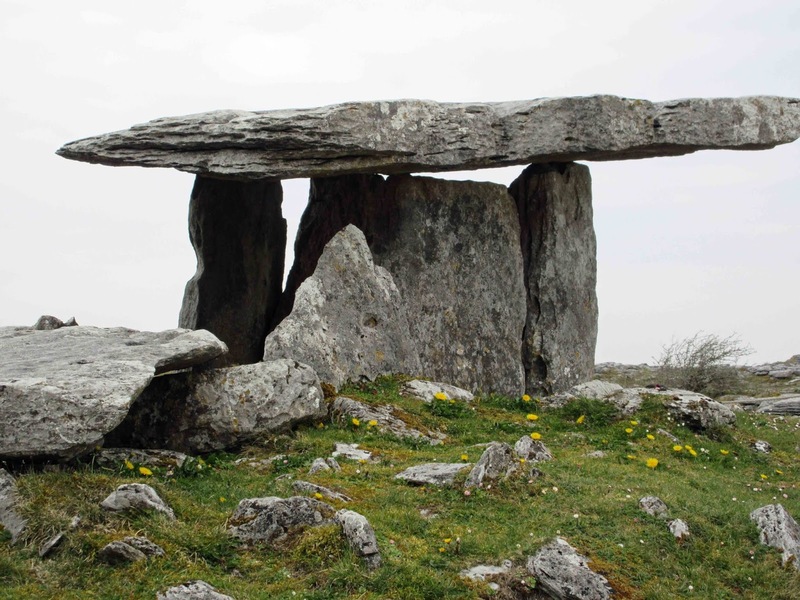 This is a Portal Tomb built, from great slabs of limestone, over 5,000 years ago (around the same time as the pyramids were being built) on the grey pavement of the Burren. The remains of over 30 people have been found on this ancient site. It is indeed much smaller than the pyramids but still you look at it in awe. And that awe continues as you eyes take in the extent of the grey pavement (formed 350 millions years ago) all around as it stretches into the distance and you pick it up on the flanks of the distant hills. And we got more great views of the unique landscape as we made our way to Sadie Chowen's Burren Perfumery . This small company is “making cosmetics and perfumes inspired by the landscape around us. 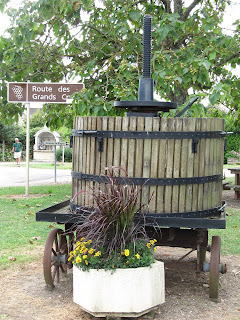 Everything is made on site, by hand, in small batches”. They include perfumes, creams, soaps and candles in the portfolio. 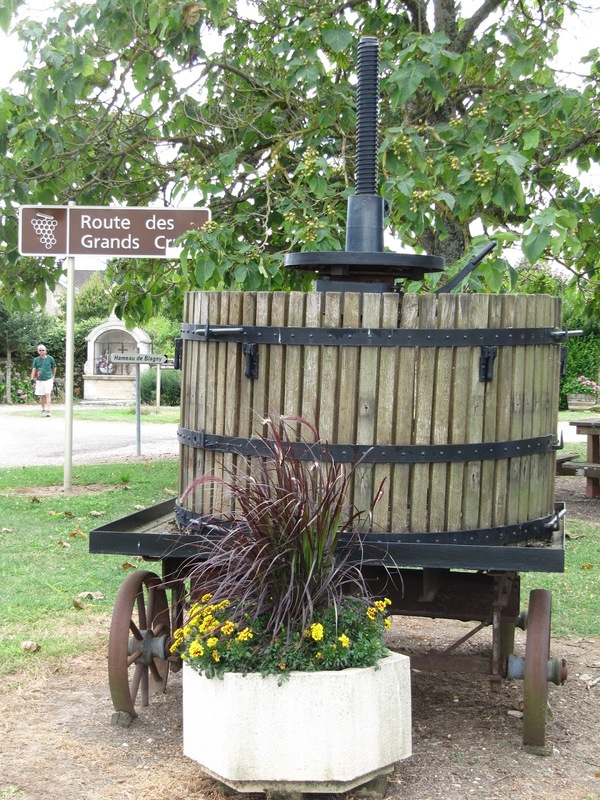 We enjoyed a little tour there through the perfume area, the herb garden and the soap room. There is also a Tea Room with homemade local food. The perfumery is open daily all year round. 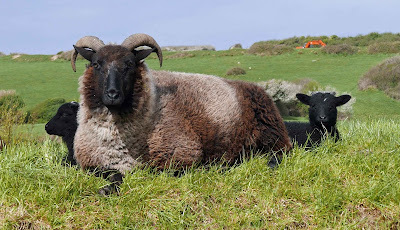 The following morning we headed for Doolin on the coast, not to take a boat to the Aran Islands and not to take one along the Cliffs of Moher, but to visit the cave there. It is privately owned, by the Browne family. In addition to the cave, there is a café and a nature walk. Mike Dickenson and Brian Varley, from a Yorkshire pothole club, discovered the cave in 1952. They crawled in. You don’t have to do that nowadays but you will have to bend down in certain parts. We had a terrific guide in Cathy and first she took us down the stairs which is enclosed in a concrete shaft stretching some 80 feet down; then, with our helmets on, we continued down to 80 metres. Doolin's amazing stalactite. 10 tonnes, 23 feet. Now, we get “orders” to turn out all mobile phone lights and we are briefly in darkness. A few lights come on in the blackness. 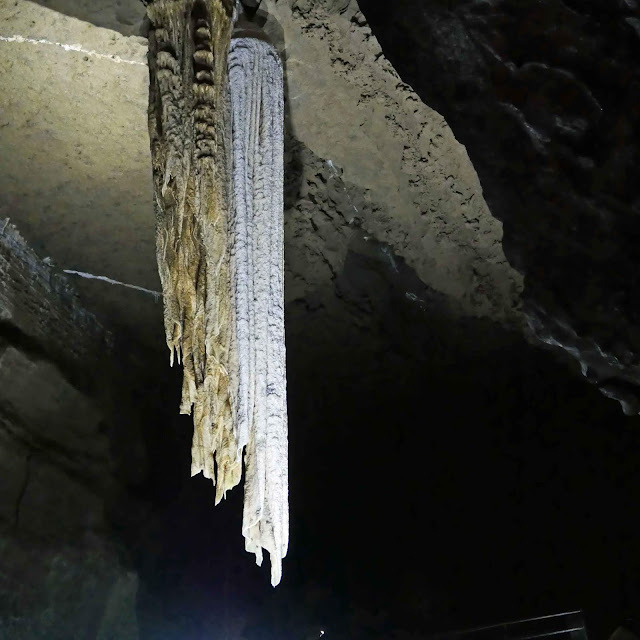 Next there are oohs and aahs as the great stalactite is revealed, all 10 tonnes of it, all 23 feet of it (the longest free hanging stalactite in Europe!). Amazing! As Cathy takes us around and then under it, we get to know it a little better. One side (the whiter one), with drops of water still dripping, is longer than the other which has no drip and has stopped growing, it is “dead”. Above ground, the nature trail takes visitors on a short rural walk where you will encounter some farm animals including rare breeds of pygmy goats and Soay and Jacob sheep, ducks and chickens. The ducks and chickens weren’t there on our trip, having been decimated by a rogue mink. But replacements were due! There is also a well-regarded café and a shop and an area where you’ll see some information (mainly on posters) about the cave which was opened to the public only in 2006. As part of the planning permission, there is a limit of around 50,000 visitors per annum. 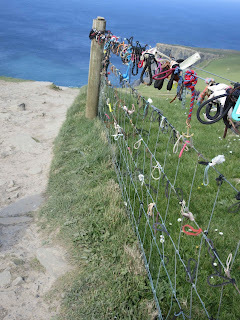 We had one or two other visits in mind in the Lisdoonvarna area but with the weather bright and clear, if quite breezy, we decided to head for the Cliffs of Moher. And the guy on the parking gate told us we’d made the correct decision, that the views were great. And so they were. We joined the crowds (11 buses and more than half a mega-car-park full of cars) but the people were well spread out over the area and no sense of crowding at all. We walked and walked and took in the outstanding views. Something struck us as we strolled around. Most of the visitors were speaking a language other than English and those speaking English had either American or English accents. Of the small group in the morning’s cave visit, we were the only two “natives”. I know it was a working day (Friday) but still we wondered do we Irish really appreciate what we have on our doorstep. Over the past few years, we’ve often been asked what did we do this year. And we’d mention Kerry, Clare, Waterford, Wexford, Mayo, Donegal and so on. And the response often is. “Yes, but where did you go on holidays?” Quite a lot of us don’t consider it a holiday unless we go abroad. We finished off the afternoon by taking the coastal route, calling at Liscannor (birthplace of John P Holland, inventor of the submarine) and a very lively Lahinch where surfers and golfers were out in force before reaching Berry Lodge at Spanish Point. Here we got a splendid welcome from owner David. Plan to head to Clare again fairly soon, perhaps starting in the southern part of the county. Anything I should see, visit? After that, I’ll fill you in on a few places to eat and stay. 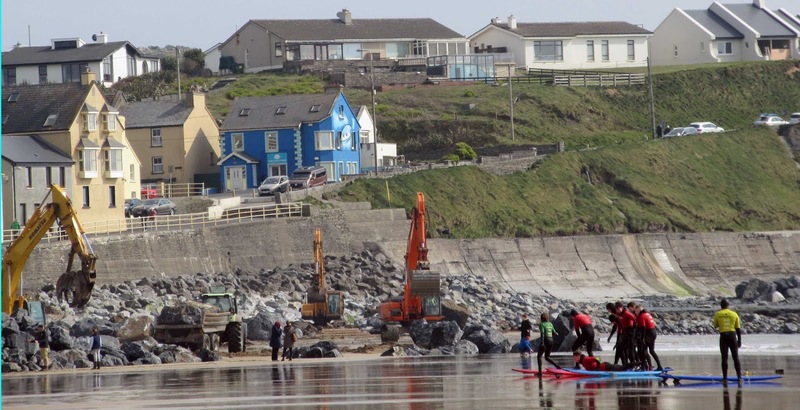 Surfers get a lesson on Lahinch beach while repairs (following last year's storms) continue in the background. 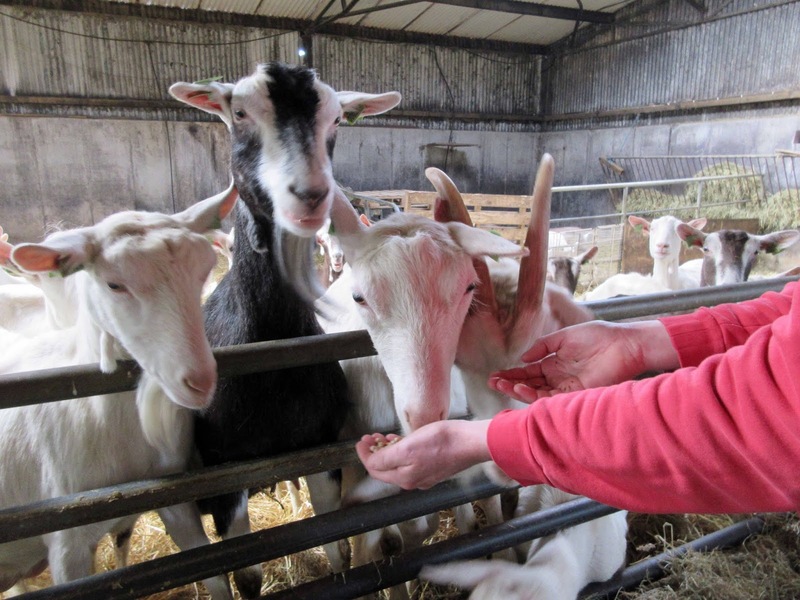 We got a big noisy welcome when we arrived at the St Tola Goats near Inagh in Co. Clare. Three hundred ladies plus all turned in our direction as we entered their spacious quarters. Farm Manager Petru Gal told us that 200 are milking at the moment and indeed that figure can reach up to 300. Brian, who has been with St Tola for the past eleven years, having originally signed up to help out with the summer milking, just a short holiday job, was our guide on the visit and he told us that the kidding is staggered with a cut off point around the equinox. There was just one kid in the large open and airy sheds, where the goats are divided into pens. There is a certain rivalry between the residents of the different pens! And that needs to be watched at milking time, 8.00am and 6.00pm. It is done mechanically, fairly similar to the way cows are milked, right down to the little treat to get the animals installed in the gates. 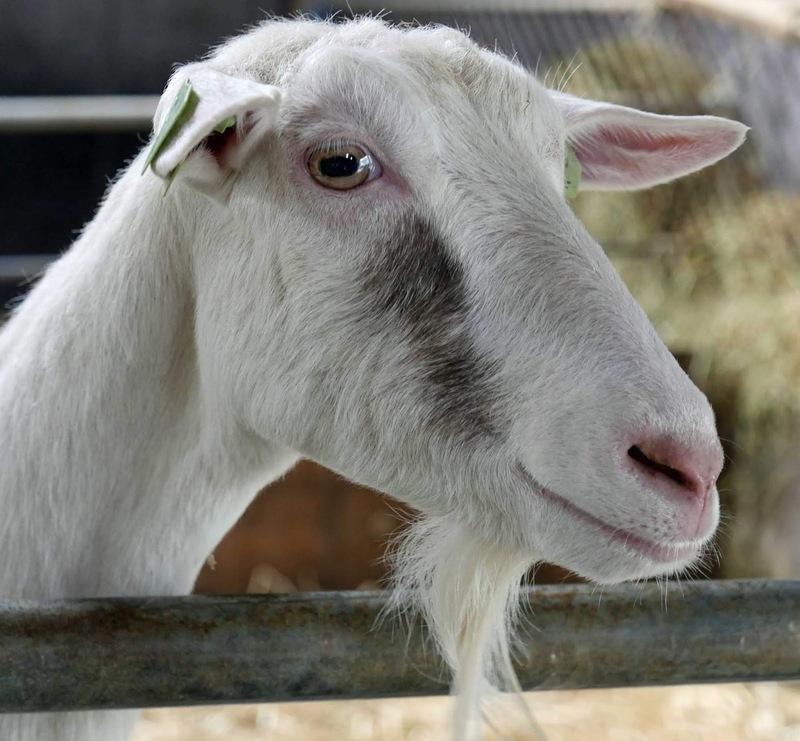 The three main breeds here, all mixed at this stage, are Saanen, Toggenburg and British Alpine. If you want quantity of milk then you go with Saanen. But when making cheese you need more fat, more solids in the milk, and Brian says the input of the Toggenburg males ensures higher solids. British Alpine are also in the mix. 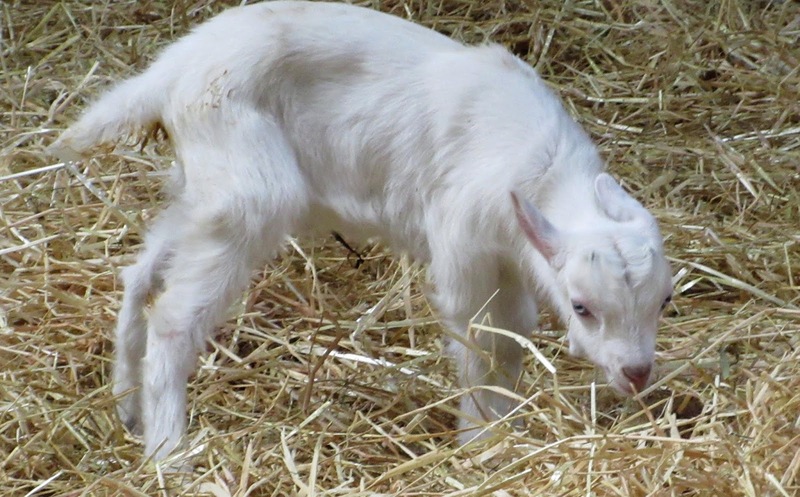 A goat by the way is in gestation for five months and the normal outcome is twins. While we were going through the shed, Petru showed us one of their three long-eared Nubian goats. 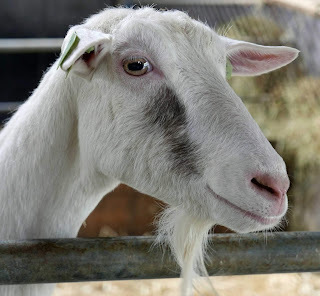 Goats don’t like the wet, don’t like being outside in the rain. Brian explained that in the local conditions, which are fairly peaty (“there is high rainfall in Inagh), they can pick up parasites and can develop foot problems. 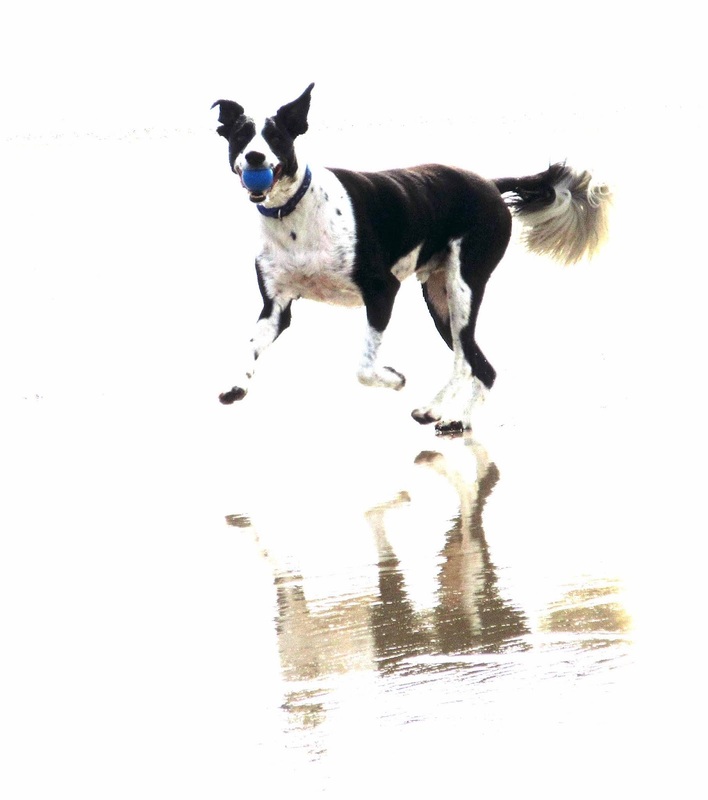 As it is, their feet need to be pared twice a year, not the easiest of jobs! They do enjoy being out and about in the sun but, as it turned out, last summer was too hot for them and the problem, believe or not, was sunburn! The major food while they are indoors is haylage. Haylage is cut like hay, but only allowed to semi-wilt and not dry completely. St Tola don’t use silage as that can leave unpleasant traces in the milk. Overall, they do like a varied diet, mostly the farm’s own hay, plus treats such as dried peas, even cut willow branches. St Tola have a shop on the farm but that only opens for bus tours. If you call, you may buy cheese at the office. This year you can buy their hard cheese. 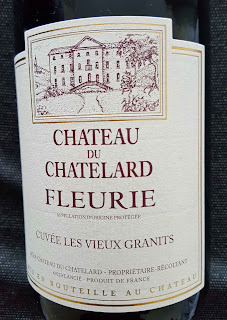 This is only made when there is a surplus as there was last year - there was no hard cheese for a few years before that. 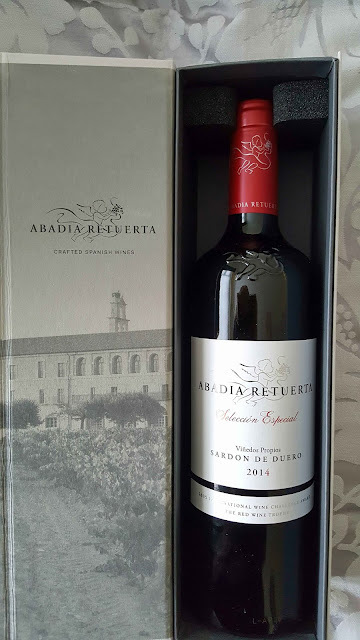 It is tasting very well at present but stocks are beginning to run down! They make cheese three times a week. They do pasteurised but Brian says the raw milk cheese is much better, the demand for it led by high-end restaurants who appreciate its more complex flavours. He took us through the cheese-making process, the cultures, the rennet, the separation of curds and whey, draining the curds in bags, the moulding (with 1% salt added). Then for the some of the logs, the ash (a food grade charcoal) is added; this encourages the other moulds and locks in moisture. The plain non-ash logs are sold fresh. Two weeks after start of production, the mature plain logs are available. The fresh is much easier from the cheesemaker's point of view as the mature takes a lot of work and time. Then time for a tasting. Brian tells us that soft cheese accounts for 90 per cent of the production. As indicated above, the 2018 hard cheese is still available and “improving all the time”. We went through them all from the small Crottin right up to the superb Ash Log which is now available in Supervalu. 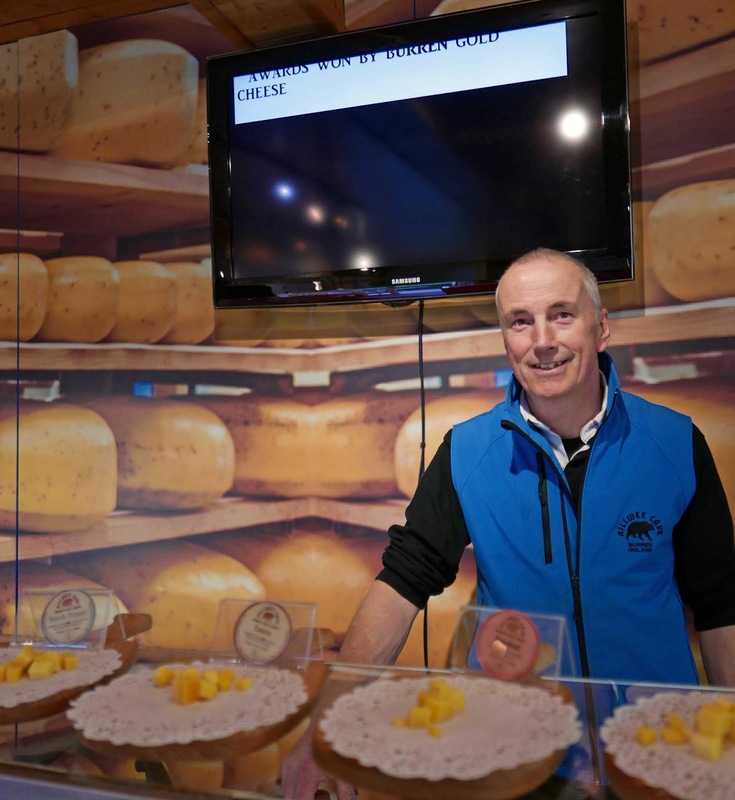 The hard cheese should also be in Supervalu and that means that stocks will be doing down even more quickly. And there was one more to taste, the St Tola Greek Style, lovely and crumbly, salty and tangy, and ideal for salads. Time then to say a big thank you to Brian for his time and courtesy and slán too to the young ladies of St Tola. Keep on producing that superb milk girls! Gortbofearna, Maurice Mills, Ennistymon, Co. Clare, Ireland V95 XA9C. had ‘PURE VEG’ on its frontage in lieu of a name they were both too exhausted to argue. … The waiter was a boy of about seventeen, who rushed to fetch water and refill the napkin holder. 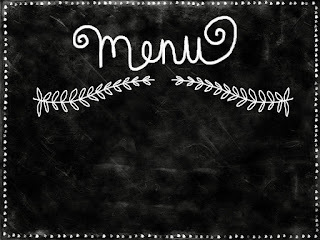 In his haste, rushing, the boy dropped the menu. Immediately he picked it up and dusted it and kissed it. Goody understood. 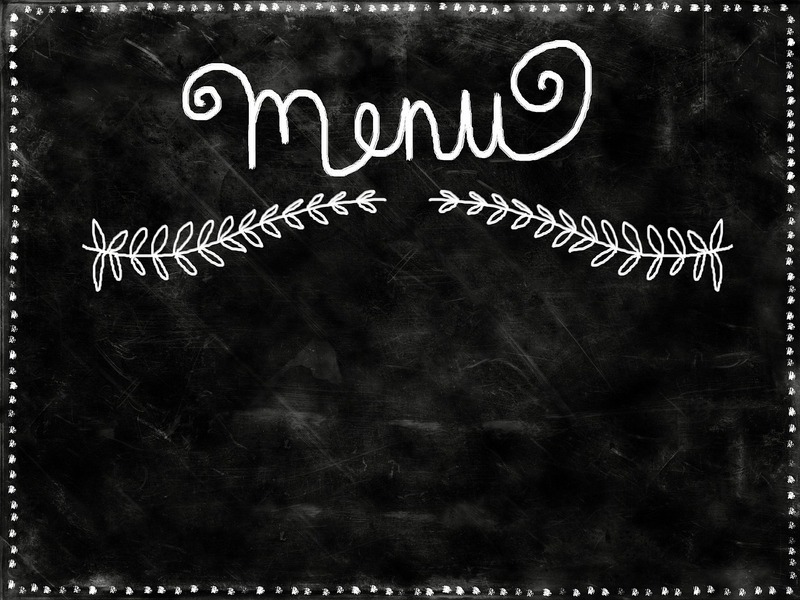 The day had just begun and the menu was an object of veneration, the good book that gave the boy his livelihood. The Bombay sandwiches they ordered were soggy with butter and chutney. Xavier was lifting up a slice of bread to examine the cucumber and tomato…. from The Book of Chocolate Saints by Jeet Thayil (2018). No Recommendation. Six was our lucky number when we arrived at the 10-room Courtmacsherry Hotel last weekend. 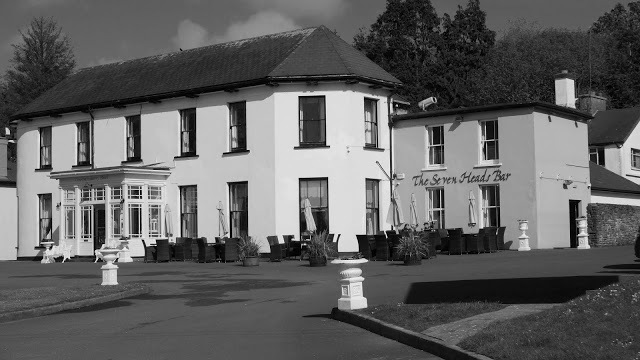 We were in the lovely estuary village for a superb wine-dinner at the village’s Lifeboat Inn. And yes, there is a lifeboat station here. A warm welcome became even warmer when we were informed that we had been upgraded, to number 6. 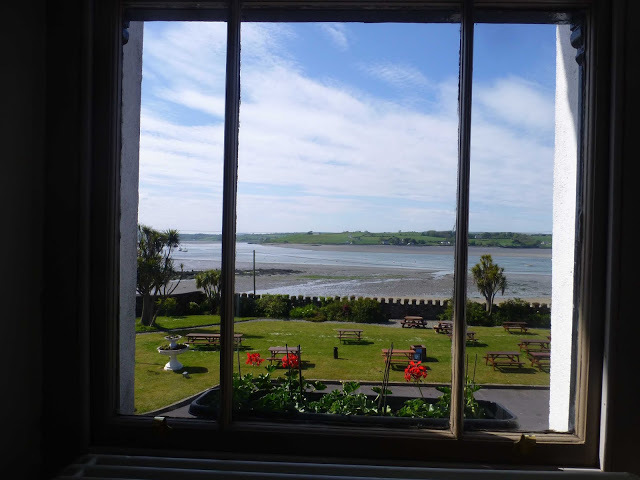 We had been in that very room a year back and it’s a beauty with three fairly large windows and two of them have direct views over the magnificent Courtmacsherry Bay. The renovations hadn't quite finished last year (and indeed there are still some going on before the hotel opens full-time at the start of June). But number six has now been more or less completed. The compact bathroom is very impressive with beautiful wall tiling, a lovely retro cistern and also a fine mirror with inbuilt lighting (just put your finger on a little disk). In the spacious room itself, there is new decor and a smashing new brand new carpet. We had all we needed, including wi-fi, tea-making facilities and hairdryer and a very comfortable bed. The only thing lacking was a wardrobe but maybe that will be there come June. There is room for it. In the meantime, there is a large chest of drawers and a couple of spacious bedside lockers. By the way, if you are booking in here, do ask for a front facing room. The reception was very friendly and efficient. There’s no big rush here and they also have time for a chat when you’re departing. In between we called to the bar of course, a very relaxing spot indeed with good drink and better conversation. Breakfast was also very good. Aside from the buffet, which had adequate cereals, fruit and so on (this will expand as the season develops), we had an impressive list of dishes available from the kitchen. 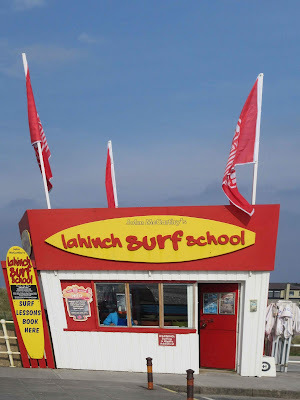 We could have had Flahavan’s Porridge, a Vegetarian option, various egg dishes, kippers, waffles and more. 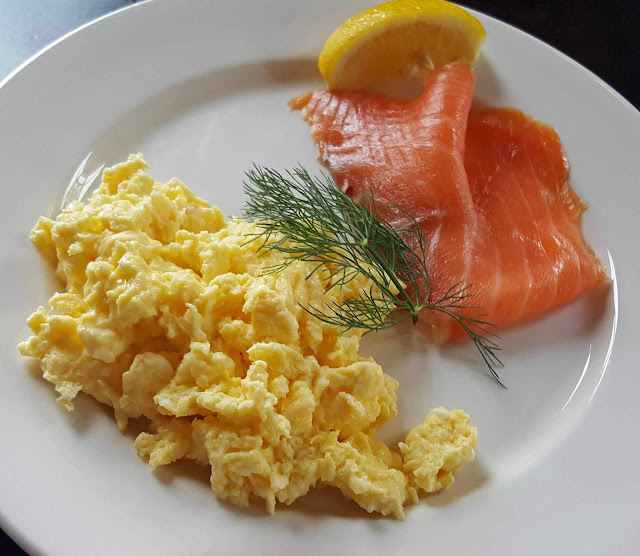 Local producers are supported here and one of the offerings that tempted us was the Scrambled Eggs with Ummera Smoked Salmon. The smokery is just up the road in Timoleague and we know the product is top notch and so it proved again last Saturday. 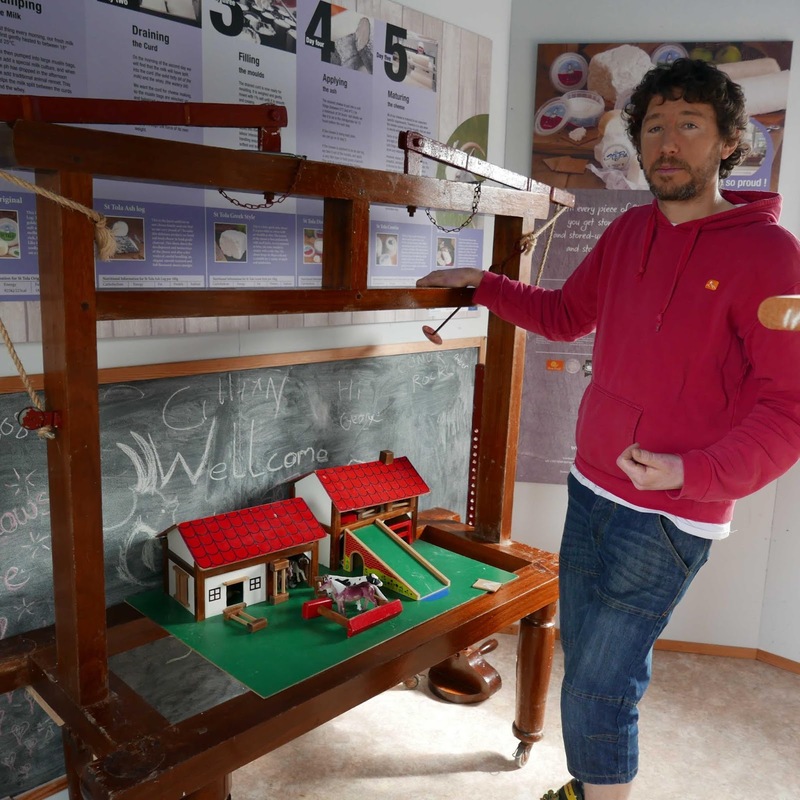 Meanwhile, I was tucking into the Full Irish, the mini-version (not that mini!) as you can see from the pic. Just being careful after the wine dinner of the night before! And not too long afterwards we were saying our goodbyes and leaving the friendly staff to prepare for the day ahead, a day that included communion meals. 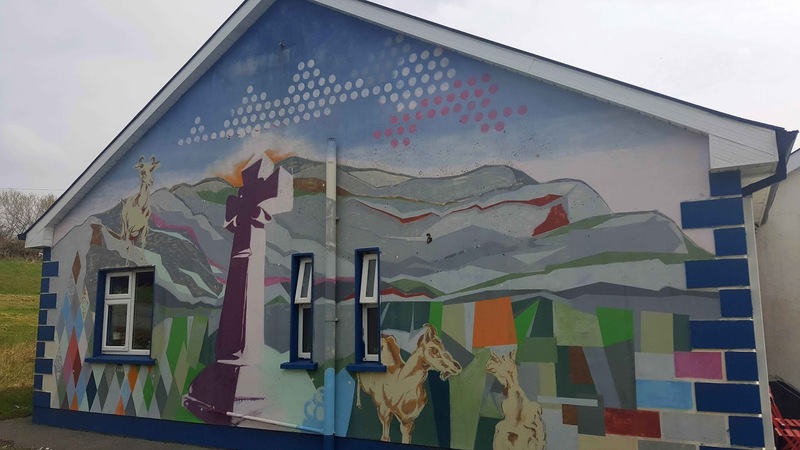 While they are only open at weekends, they have quite a lot to keep them going here including weddings, communions and confirmations, parties, and matches on the big screen. Even Fools and Horses are due to visit soon! And then there’s the Seven Heads bar and its popular outside section. 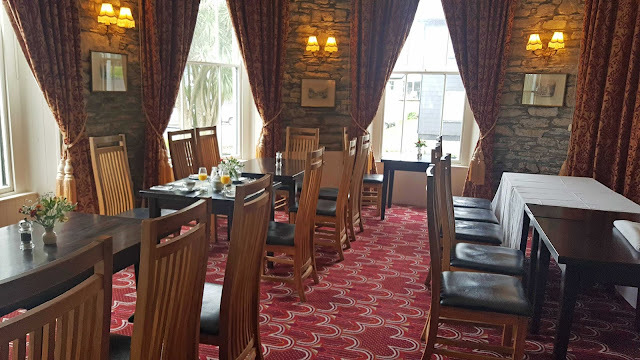 The hotel building, which dates from Victorian times (you’ll note those high ceilings), provide shelter and also reflects the sun back to the al fresco diners and drinkers. There is a lovely old cork tree in the middle of the manicured lawn and lots of tables and chairs around as well. And if you are the more active type, there is no shortage of activity in the general area. One of our favourites, and we did it before check in, is to take the walk through the nearby woods, especially when it’s full of wild garlic and bluebells (which should be the case now), emerge at the other side with splendid views of the ocean and some of the Seven Heads. Don’t forget to turn back though as the full walk is over 42 kilometres! There’s a bunch of Holstein Friesians grazing on the tough fields around the Caherconnell Stone Fort in the heart of the Burren in County Clare. Not easy to get a decent biteful here; grass is not plentiful, far from it, but the cows also eat some of the famous herbs and exotic plants that grow in the crevices in the great pavement of the Burren rock. 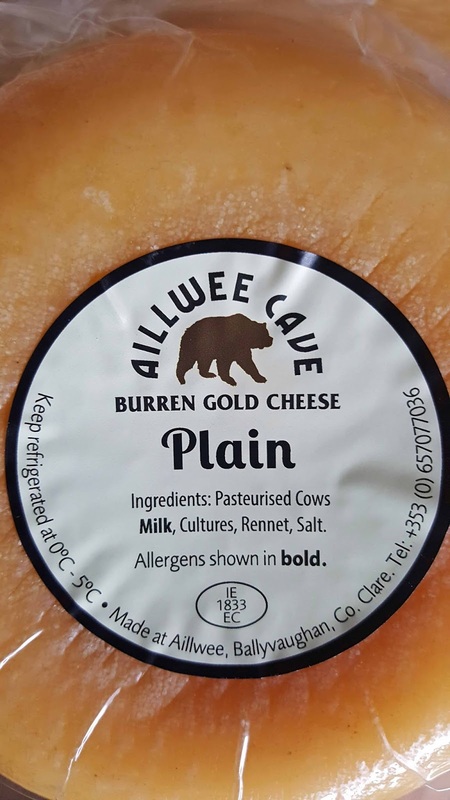 And that hard-earned mix of flavours goes to make Burren Gold, a Gouda style cheese and our Taste of the Week. We have visited the famous Ailwee Caves in the area on a few occasions and head there again. But this time, instead of the caves, we are going to the Farm Shop, in the same complex. 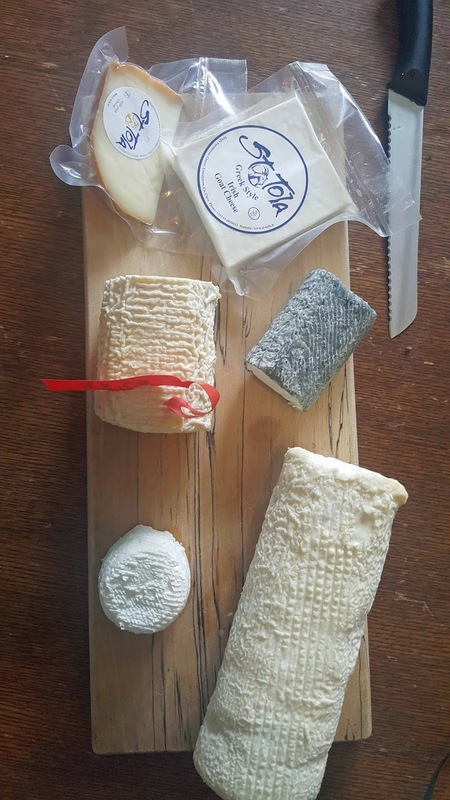 Here they sell lots of good things from the area, including honey, and indeed other cheeses and we also get a taste of the fantastic Cratloe Hills, a sheep milk cheese from the south of the county (and a previous Taste of the Week). The milk from the Holstein Friesians of Caherconnell is brought here and you can see the cheese being made. Today though, the cheesemaker has a day off. Just by pure chance, we get talking to manager Dave and he talks us through the process. They have been making the cheese here since 1985. So why haven’t we heard about it? The main reason is that over 90 per cent of it is sold right here in the Farm Shop and the rest locally. 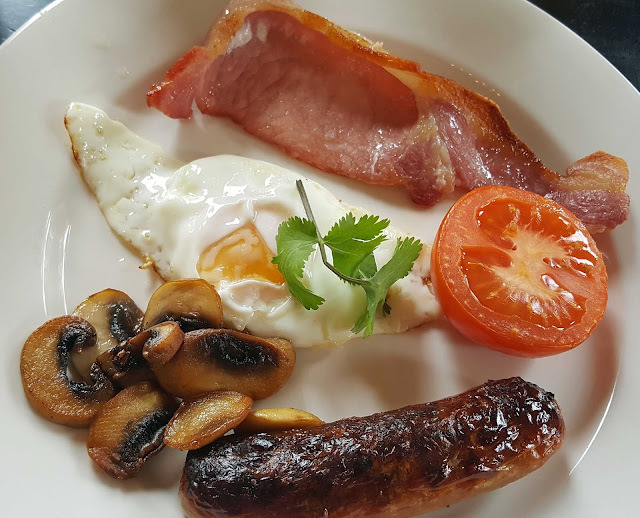 We actually found it on the breakfast menu at our B&B, the Fergus View near Corofin where the Kellehers, Mary and Declan, support all things local. 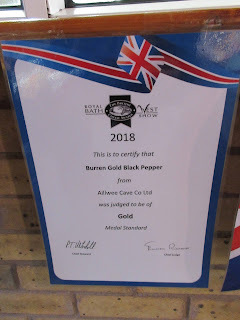 You can taste all the variations here - we did - and Dave was particularly proud of the Piri Piri and even more so of the Black Pepper which won a Gold Medal Award at the prestigious Bath and West Show in 2018. They also age some of the cheese. You can see the racks of wheels in a glassed off section of the shop, one for 12 months, another for 24. Those mature cheeses are splendid and we bought ourselves a piece that was just over 12 months. It is disappearing rapidly. Actually, there is quite a lot to do here. You may of course visit the famous caves, all part of the Burren Geo-Park; you may buy a combined ticket that will enable you see the Birds of Prey. And if you want to interact with one of nature's top predators, then sign up for the Hawk Walk (you’ll need to do this in advance). This walk also includes admission to the cave and the Birds of Prey. Other attractions not too far away are the Burren Perfumery and the Poulnabrone dolmen, both amazing.